CB Financial Services, Inc., the holding company of Community Bank and Exchange Underwriters, Inc., a wholly-owned insurance subsidiary of Community Bank, today announce the merger of Exchange Underwriters and Beynon Insurance, effective August 1, 2018. CB Financial Services, Inc. Completes Merger with First West Virginia Bancorp, Inc.
CB Financial Services, Inc., the holding company for Community Bank, announced today that it has completed its merger with First West Virginia Bancorp, Inc., the holding company for Progressive Bank, National Association, effective after the close of 4-30-18. 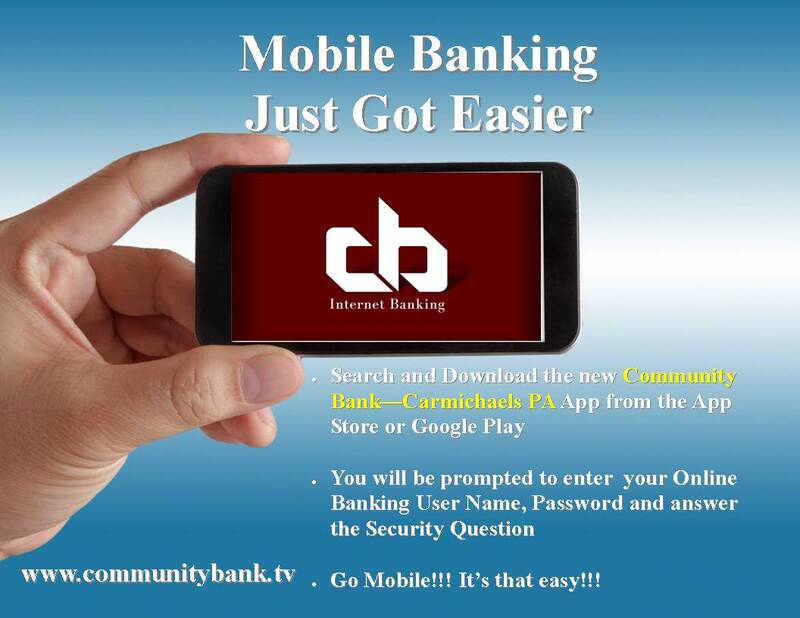 CB Financial Services, Inc. Announce Merger Consideration Election Results for Pending Merger with First West Virginia Bancorp, Inc.
CB Financial Services, Inc., the holding company for Community Bank, announce today the results of elections made by stockholders. CB Financial Services, Inc. and First West Virginia Bancorp, Inc. announced their respective stockholders overwhelmingly approved pending merger at a speical meeting held on April 11, 2018.